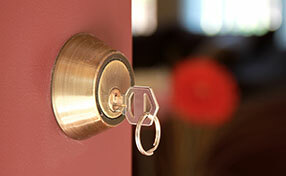 -There are four types of locks made for residential doors: the deadbolt, knob lock, lever handle and handle set. Each work differently from the other; for example, the knob lock requires you to grasp the lock and turn it to open it, while the lever handle is much easier to turn, but can be damaged from excess pressure. In this case, it is a matter of preference, so pick which one you like best. Also, make sure that the type of key you intend to purchase is compatible with the keyway of the lock. -Another thing you should consider is the finish of your lock. It is not very important, but it can look very awkward if the lock finishes do not match with each other. Mix and match the different finishes and see which combination looks best to you. Also keep in mind that some finishes discolor due to weather changes, so if your area is likely to get wet easily, find a finish that can best stand up to the weather. 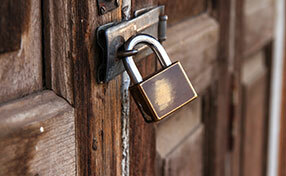 -One more thing to consider is whether you should use electronic locks or not. Technology has come a long way by combining both security and convenience. It is entirely your call if you wish to install an electronic keypad on your lock to improve your home’s security, but keep in mind that they can short out if they are exposed to too much rain or sunlight.